BlogPaws Wordless Wednesday Pet Blogger Hop: Going Green! 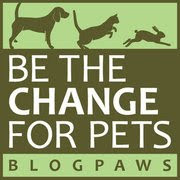 In celebration of Earth Day 2015, our friends at BlogPaws are proud to announce that this year's pet blogging and social media conference in Nashville, Tenn., is officially "going green"! Partnering with the Pet Industry Sustainability Coalition and Only Natural Pet, the conference has embraced a zero-waste initiative. Cool! Meanwhile, back at the Ohio ranch...Parental Unit and I will be going for an extra long run today, despite the rainy weather (well, I'll be doing the running!). Now let's head on over to the BlogPaws Wordless Wednesday Earth Day Pet Blogger Hop and meet and greet some new "green" blogging buddies! Wow, green grass!!!!!! I can't wait until we have some! 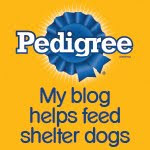 Good news about BlogPaws going green. Happy Earth Day! Love that the conference is going green.